Rimma is a Licensed Clinical Professional Counselor. She specializes in working with clients facing relationship and communication issues, parenting challenges, life transitions, anxiety, depression and trauma. She works with individuals, couples and families and has experience working with a wide range of clients including children, adolescents and adults. Unsatisfying relationships are a cause of unhappiness for a lot of people, whether it is a relationship with a significant other, child, family member or a boss. Rimma works with clients to help them understand the relationship dynamics and learn to navigate them more effectively. She believes that building a strong trusting relationship between therapist and the client is an essential component of successful therapy process. By providing an atmosphere of compassion, she helps her clients gain insight into the barriers they are facing as well as become more aware of their strengths. Rimma views therapeutic process as a collaboration which leads to a process of change necessary in order to pursue a more fulfilling life. 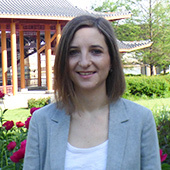 Rimma received Bachelor’s degree in Psychology from Roosevelt University and has graduated from Northeastern Illinois University with a Master’s degree in Clinical Mental Health Counseling. She has been in practice for 5 years. She gained professional experience in a variety of settings such as community mental health, residential and private practice. Rimma received post-graduate training in Dialectical Behavioral Therapy. She is an immigrant and provides services in English and Russian.